Most recently, RE/MAX has become a national co-sponsor of the BreastCancer Survivor Recognition Program at Komen Race for the Cure®events. RE/MAX of NJ will be participating in The Race held on October 19, 2003 at the Bristol MeyersSquibb Company in Princeton. Visit your local office and see how you can get involved in this event. 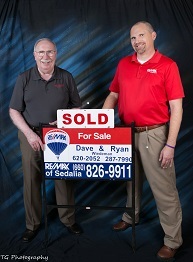 The RE/MAX organization has been the official real estate sponsor of the Children’sMiracle Network since 1992. Last year, RE/MAX of NJ Associates raised more than $283,000 for CMN. Each year, about 20 charities host fund-raising golf tournaments at Sanctuary,the private course of RE/MAX International co-founders Dave and Gail Liniger. All these venues and more represent the RE/MAX network’s commitment tocommunity involvement, serving the public beyond its real estate needs.